The Director of Research of TNJFU, Prof. G. Jeyasekaran, was awarded with Tamil Nadu Scientist Award (TANSA) 2016 in the discipline of Veterinary Sciences by the Tamil State Council for Science and Technology (TNSCST), Govt. of Tamil Nadu. In recognition of the outstanding research work done by Prof. G. Jeyasekaran in the field of Fish Quality Assurance and Management, the Tamil Nadu State Council for Science and Technology conferred on him, the Tamil Nadu Scientist Award (TANSA) in Veterinary Sciences for the year 2016. 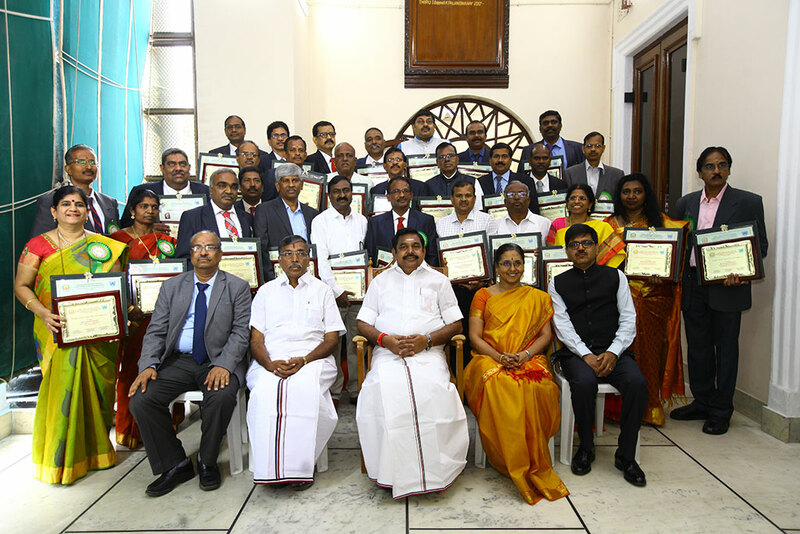 Prof. G. Jeyasekaran received the TANSA Award at a Govt. function from the Honourable Chief Minister of Tamil Nadu, Th. Edappadi Palaniswami at the Govt. Secretariat on 27.12.2018 in the presence of Honourable Minister for Higher Education, Th. K.P. Anbalagan, respected Chief Secretary, Tmt. Girija Vaidyanathan, IAS, Principal Secretary to Govt., Dept. of Higher Education, Th. Mangat Ram Sharma, IAS, and the Member Secretary, TNSCST Dr. R. Srinivasan, Ph.D. During that occasion, TANSA Awards were given to the Scientists of Tamil Nadu for the years 2015, 2016 and 2017 for their research achievements in ten disciplines viz. Agricultural Sciences, Biological Sciences, Mathematical Sciences, Environmental Sciences, Engineering & Technology, Medical Sciences, Veterinary Sciences, Chemical Sciences, Physical Sciences, and Social Sciences.